Booom juice are a small but popular E Liquid brand. They have a cult following thanks to their signature flavour which is of course Lizard Tears E Liquid. We sell Lizard Tears E Liquid both wholesale and retail at a fantastic rate you will not find anywhere else. Bottles contain 50ml of E Liquid in a 60ml bottle leaving 10ml for your Nic Shot to make the perfect 3mg. 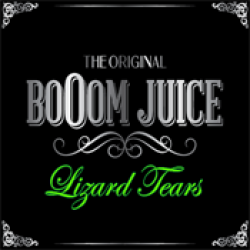 Lizard Tears E Liquid UK - Booom Juice This truly is a sensational juice - Lizard tears E Liquid ..